Neomonde, Raleigh - 40 Years Old But Fresher Than Ever! 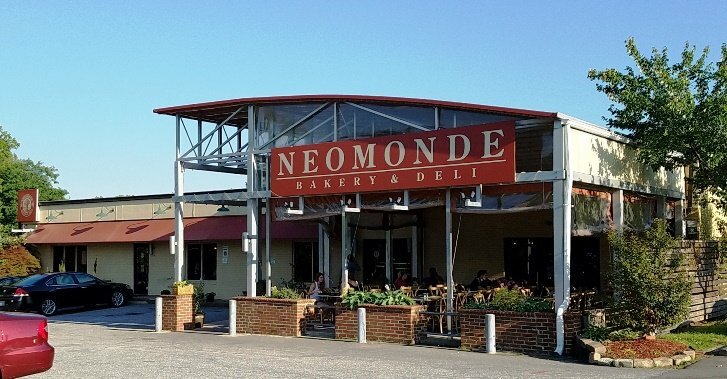 Out in W. Raleigh just past NC State campus you’ll find the ever-popular Neomonde! 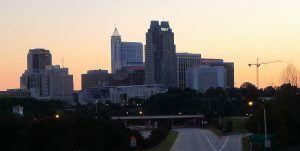 Known as a market, deli and bakery, this long-standing Raleigh institution has been feeding the area with great Mediterranean eats and breads. In business for nearly 40 years, of course you have to expect some changes over time! 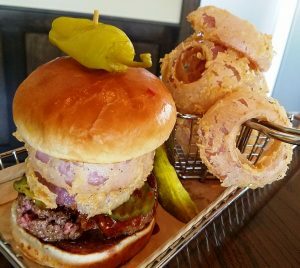 As the business has grown, the Saleh family who owns and runs Neomonde has grown, resulting in the expansion of Neomonde to Morrisville and also a spin-off group of restaurants as Sassool. 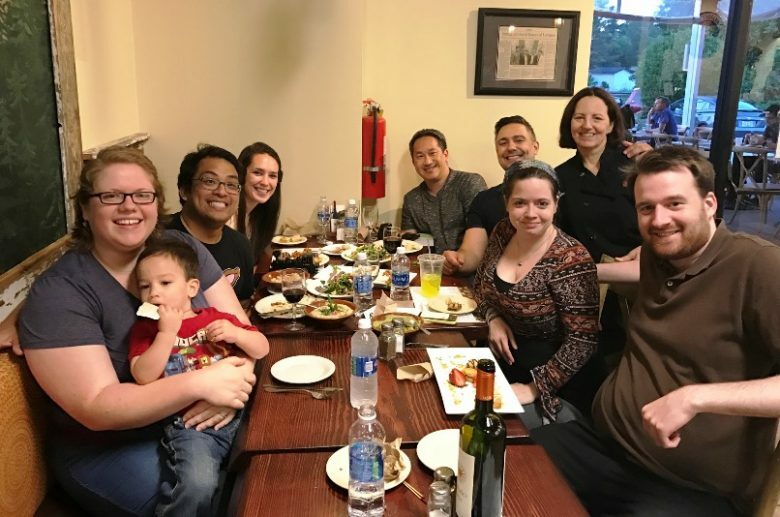 And recently I was invited to partake in a preview and tasting of Neomonde’s new menu and learn more about what’s in store for the restaurant and their eats! Inside Neomonde, the overall space seems to have been refreshed! 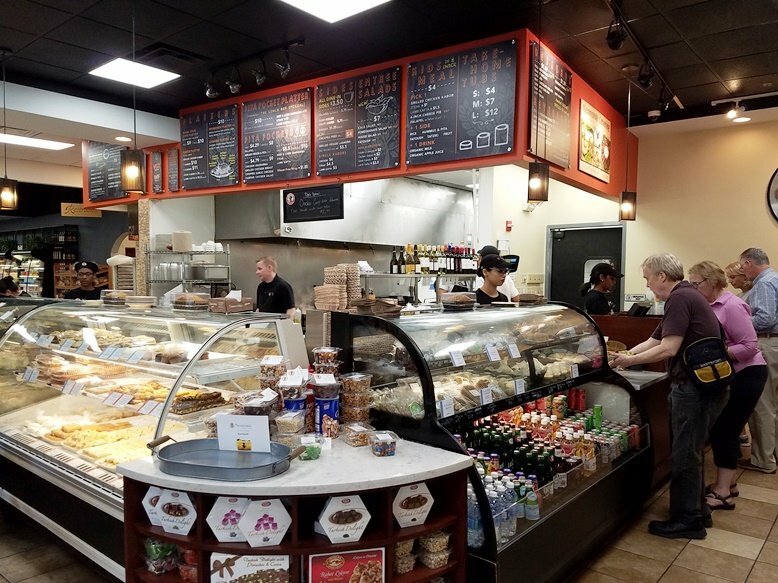 The market area to the left seems very neat and nicely stocked while the counter order area seems a bit brighter. We’re seated in the back right corner of the dining room at Neomonde, right next to a large painting of a Lebanese village scene. We’ll find out more about this painting later! Soon enough, fellow bloggers and foodies Elliot @EatRaleigh and Heather @CandidSlice are at the table to join us for the tasting. Manager and drummer Chris Saleh welcomes us to Neomonde and offers us some vino and beer to get the meal started. He’s excited to show us what’s new at Neomonde with their expanded menu and service changes since he’s been back to manage the restaurant. 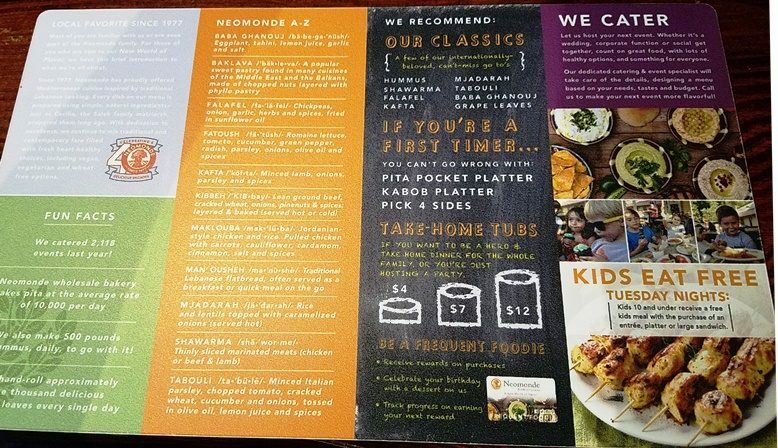 One of the first things I notice is the menu. 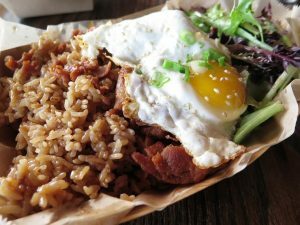 It certainly has been been upgraded and covers the expanded menu well but Neomonde also has a great glossary covering the types of food served here. Falafel, kafta, shwarma, tabouli, fatoush and more. 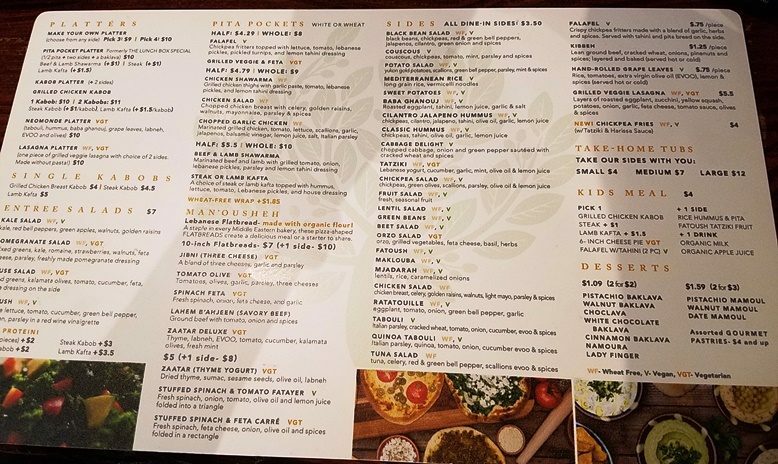 While some Mediterranean food lovers may not need these descriptions, I’m pretty sure some people will appreciate the expanded definitions! Note that Neomonde has gone with a simpler pricing structure, no weighing needed at the cash register. 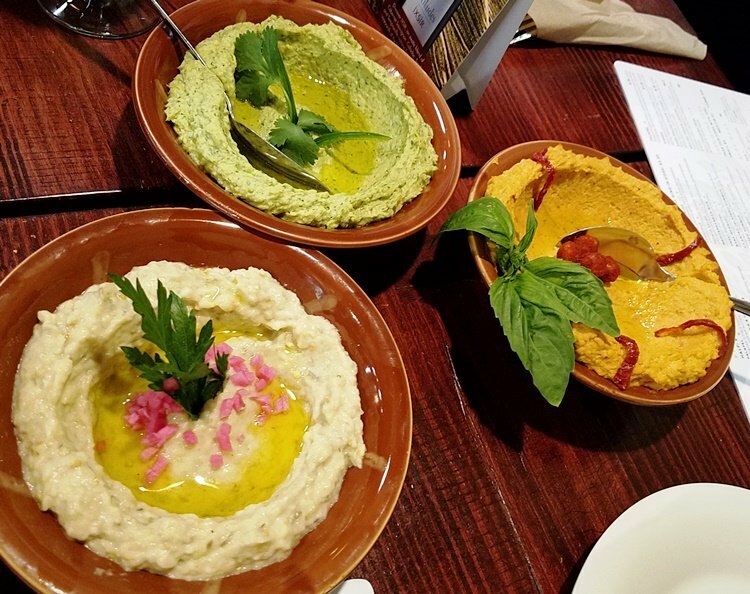 Back at the table, we start off with a couple of their new plates of spreads: sun-dried tomatoes hummus, jalapeno hummus and babaghannoush! I focus mostly on the hummuses (hummi?!). The sun-dried tomato is bright and sweet with a smooth texture, perfect paired with pita bread. And the jalapeno pepper while not too spicy, had enough back-end pepper flavor to make its presence known. The babaghannoush was beautiful but eluded my searching piece of pita! We moved on to Neomonde’s flatbreads which are listed as man’ousheh. I dig into the beef man’ousheh which is ground beef, tomato and onion which is like a cheese-less pizza! Great crust and a good bite to the crust, it all feels a bit more healthy than pizza with cheese. 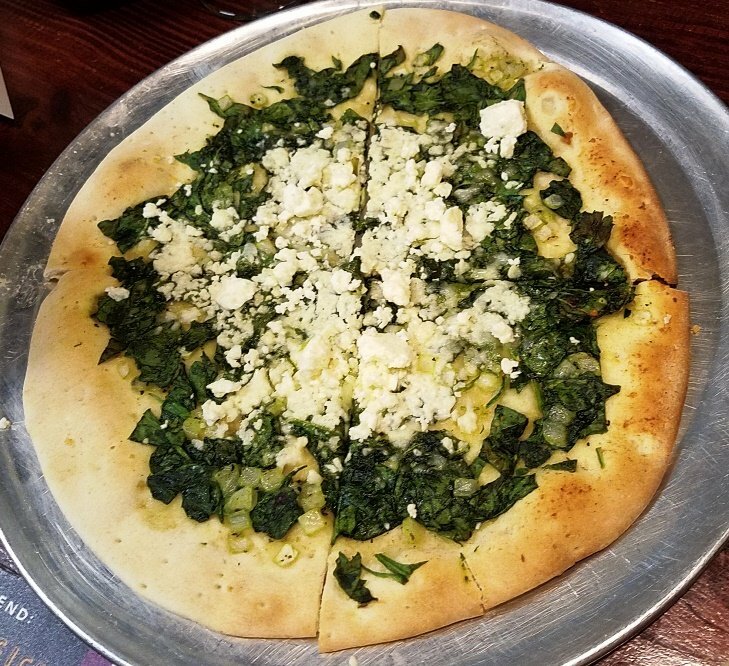 We also dig into a spinach-feta flatbread and a unique option spiced with zaatar and veggies which looked fabulous. 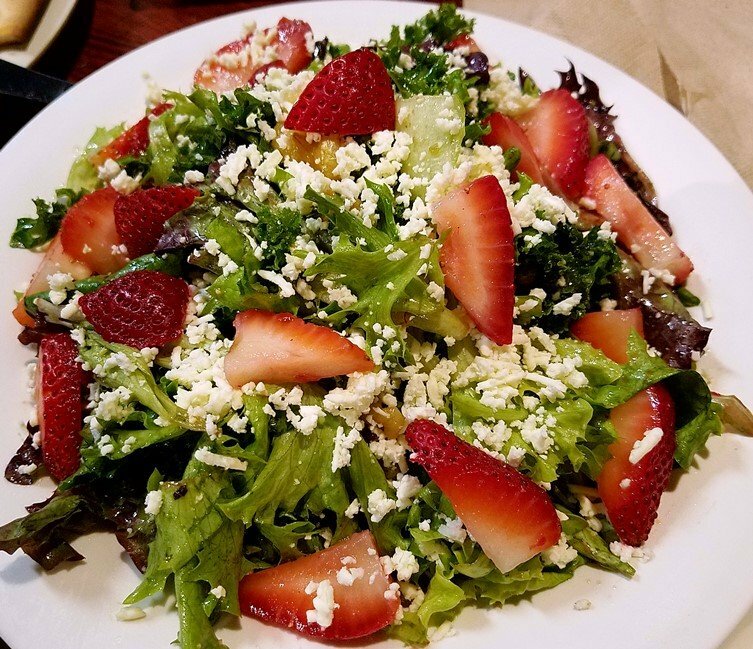 A beautiful pomegranate salad is also brought to the table and presents a nice contrast between the juicy red strawberries and deep greens. 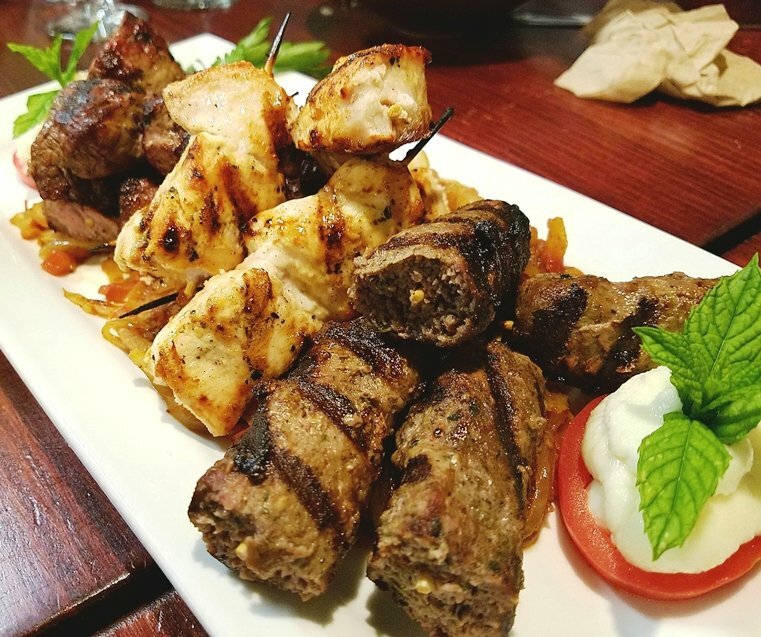 Next up is a platter of Neomonde kebabs ranging from chicken to beef and kefta (beef-lamb). The kabobs sport dark grill marks but still remain tender and tasty, a bit of spicing/marinade make them all wonderfully tasty. 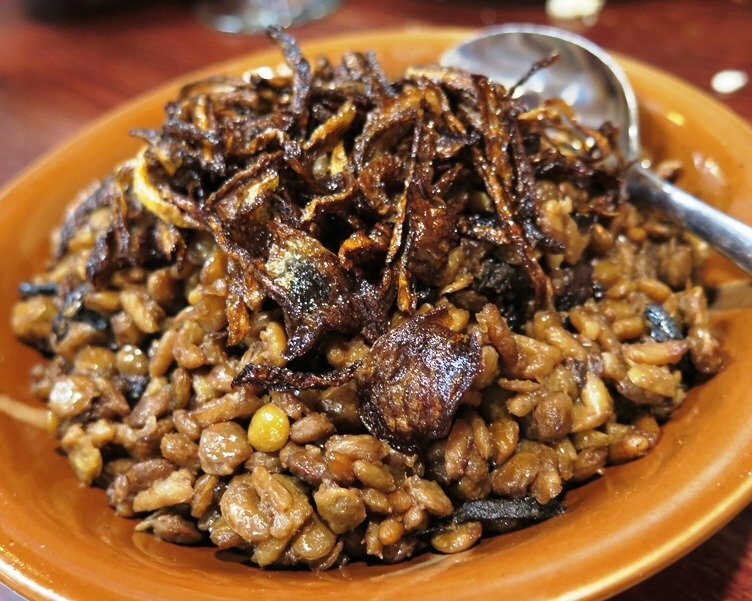 The kebabs are paired with a lentil rice dish which makes for a fantastic plate, the charred onions on top give this simple vegetarian dish tons of flavor. 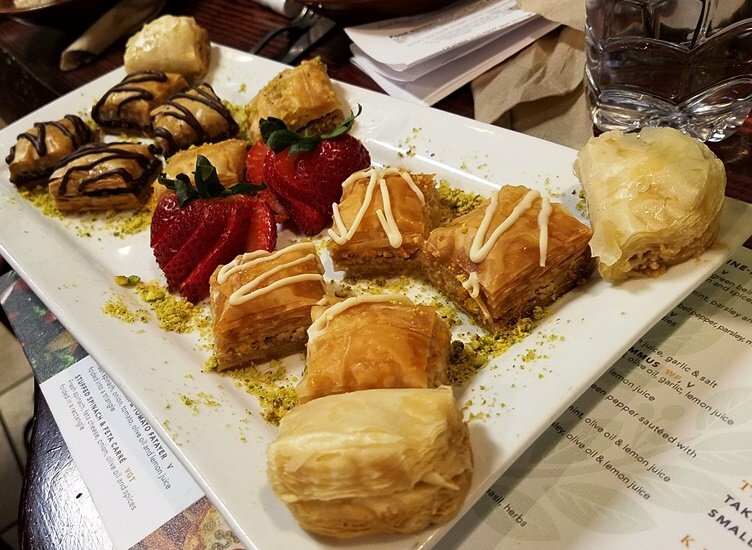 We finish off with a wonderful assortment of baklava, I’m pretty much full at this point in the meal but love a couple pieces of this honey-laced sweet, the subtle orange flavor just makes it even better. Some final pictures are taken of the happy Neomonde ending and we are finished! We get together for a group pic, say our goodbyes to Chris and his mother Betty, and thank them for all their hospitality and wonderful food. So it was great to get back to an old Raleigh favorite. 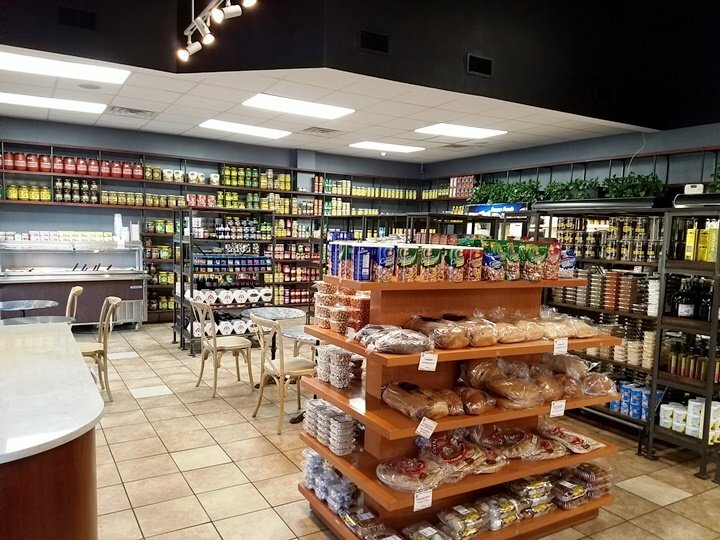 You don’t stay around in the restaurant business 40 years without doing a lot of things right and it feels like Neomonde has been refreshed and is ready to feed the area its great, healthy eats for another 40 years!